The Department of Chemistry and Chemical Biology at Rensselaer has a long history of innovation in education and for excellence in laboratory instruction. In addition to a strong focus in the traditional areas of chemistry we offer courses and research programs in the rapidly developing frontiers of modern science, including biochemistry, biophysics and biotechnology, materials and polymer chemistry, and medicinal chemistry. At the forefront of research while being small enough for students to receive individual attention from faculty. Research projects in emerging fields of science and technology that lie at the intersection between chemistry and biotechnology, energy sciences, physics, biochemistry, computational methods, material science and nanotechnology. A number of awards are given to outstanding undergraduates to recognize exceptional performance. 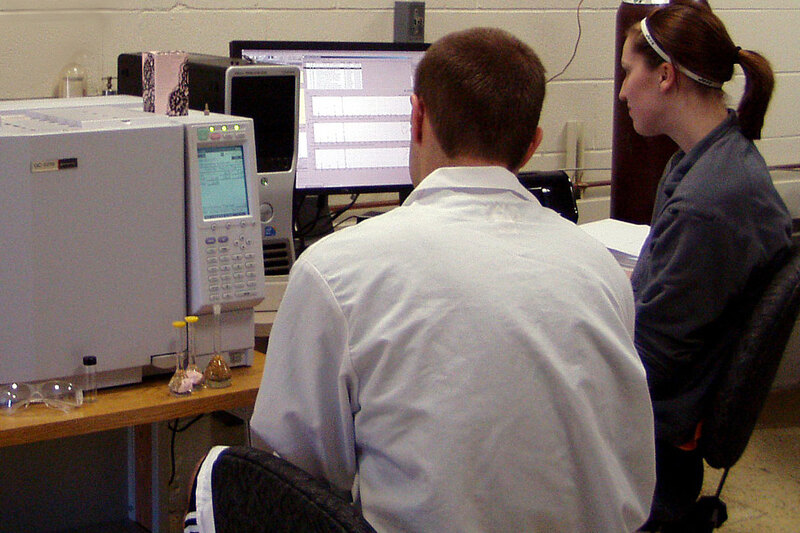 The undergraduate laboratory program emphasizes the hands-on use of modern research-grade instruments that allow students to become familiar with real-world equipment and tecniques used in research and industry. So you’re interested in chemistry? Perhaps you’re pretty sure that chemistry is the subject you want to major in, or, perhaps, it is just one of several possibilities. Perhaps you’re not sure what a chemist really does after college.